Unity as a company has one mission: help games developers be more successful. Unity is one of the top game development platforms, routinely seen powering the biggest games on a multitude of platforms such as Castle Warriors, Battle Bears, Max & the Magic Marker, CSR Racing, Temple Run and Shadowgun and now its the turn of Windows Phone to get in on the Unity action. 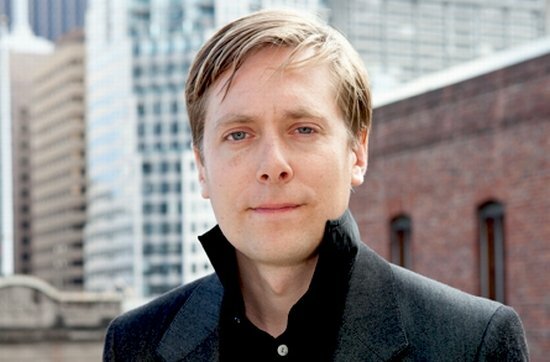 We recently sat down with CEO of Unity Technologies, David Helgason--freshly back from Unite 12--to hear why they are betting on Windows Phone 8 and why it is good news for developers and gamers alike. David says quite openly that he knows developers are a clever bunch, if they are onto something; they have a tendency to trust them. So the company began research in summer last year working closely with Microsoft along the way for external guidance. Like many projects of this scale, they encountered some hiccups with the new OS. Windows Phone (like iOS and Android) has some heavy and understandable restrictions on how things can be done. David was keen to point out that it’s no more a problem of Windows Phone 8 than any other mobile OS. Only in the last few months has the project reached the level where they are confident they are able to deliver the goods. 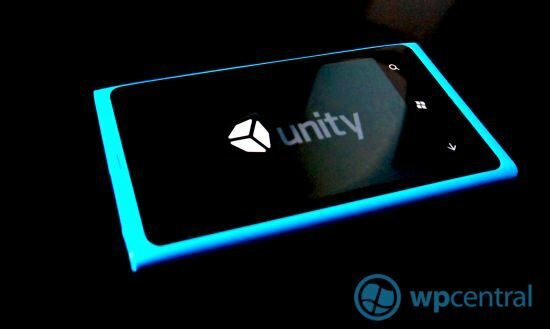 As a result, they announced Unity for WIndows Phone 8 last week, much to our delight. We were keen to discuss XNA, Windows Phone 7’s technology for developing games. Microsoft announced XNA just before they had launched the 1.0 version of Unity; initially the people at Unity were worried that XNA would be a big competitor to their unreleased product. Quickly they realised that Microsoft’s focus was not really on making a game engine in the same spirit as theirs. David was positive about XNA in that he thinks it is an excellent tool for learning game programming and development. The problem he sees is that it has an abstraction layer that does not allow enough low level control to fully optimise what’s going on. On the other hand, Unity should provide an easy path for existing XNA developers as it supports C# and even talks of XNA devs porting their projects to run on the Unity engine. The programming languages used to build the logic are the same and many of the concepts are also similar. We are sure there are many developers currently using XNA that will be pleased to know the jump should prove relatively painless. Windows Phone 8 and Windows 8 are to share the same core so it was of interest to hear David’s thoughts on just how similar the two are platforms really are. He thinks that the two resemble more closely how Apples iOS and OSX look in terms of game development. The desktop OS naturally gives up huge amounts of resources whilst the mobile OS is far more restricted. Whilst the cores are the same, the amount that can be achieved on each platform varies greatly. When it comes to Windows Phone 8, we’re going to see an entirely new base specification, improved GFX handling and dual core CPU. David’s feeling is that Microsoft are putting out sensible guidelines for their next gen hardware. It’s a well-known problem with Android that often times the superior hardware can’t be utilised properly or devices simply aren’t capable of rendering 3D at all. In this regard, Microsoft is making the right move by ensuring the spec of the devices remains a known constant. Unity - Build Once Deploy Anywhere..
David wasn’t prepared to say either way if Microsoft have done enough with their next OS to ensure it’s a rock solid gaming platform, it’s still too early to tell. All mobile OS’s have limitations and David is quick to point out that it is the job of middleware solutions like Unity to help address those. Windows Phone has not been a huge success with market share numbers just yet, we were interested to hear his thoughts on why they have decided to invest so much into the platform, as such an undertaking is not without significant cost. Their overall feeling is that it is a really well designed OS. The Unity folks are big believers in design, they were quick to jump on the iPhone and they have a good feeling that Windows Phone 8 is going to be big. For developers using Unity and the company itself, the prospects for mobile games sales are huge. Even if the platform remains the third of fourth eco system, it will still present a valuable extra market for developers to target. For a game developer, once they have made a game in Unity, porting it to another platform is very straightforward. The economics of porting the games to other platforms like Windows Phone are actually very attractive. That should bode very well for future games releases on WP8. With little or no work in actually porting, there is almost nothing to lose in releasing to the Marketplace. So what happened with Unity for Windows Phone 7? David was frank in saying that they would have been able to get much of it working. The problem would have been the sheer effort in doing so. WP7 lacked the native code abilities of WP8 and so it would have been a major undertaking with little return. They feared that even with massive effort the results might not even have been that good. In other words, putting Unity on WP7 would have been a risk to take but with Windows Phone 8, the chances of failure are diminished. 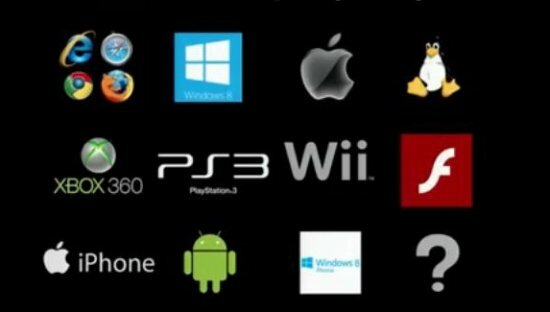 Unity should help light up Windows Phone 8 as a gaming platform..
"With Unity, Porting games to and from Windows Phone should take only a couple of days…"
We jumped back a little to confirm what we had hoped would be the case: quick porting of games. Just how long could it take someone to grab their game and recompile it for Windows Phone? Many of our readers often contact developers of top games to request they be ported to WP7, often times they are met with responses advising that it’s simply too much work and not a cost they can afford to incur. But now with Unity, it will normally only take a recompile to get a new binary, but in other cases it might be a few days if it’s a complex project to ensure a high level of testing is completed. Due to the maturity of the Unity on Android and iOS, the products have a few years head start in which to have ironed out any issues. The first generation for Windows Phone may require a few tweaks and quality assurance initially. 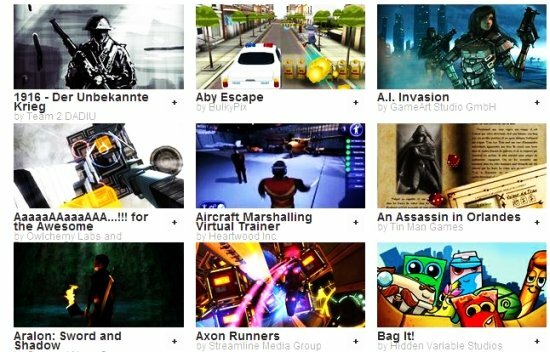 We have plenty of examples of top games not making it to WP7. Let’s hope that Unity can help turn that trend around. Also it's not just a case of porting to Windows Phone, the same story works the other way too. We expect developers to take their games to other platforms. From the sounds of it, the Unity development system will make it a no-brainer. While we couldn't learn about future games coming to Windows Phone 8, we were assured that we are going to be very excited to see what’s coming. 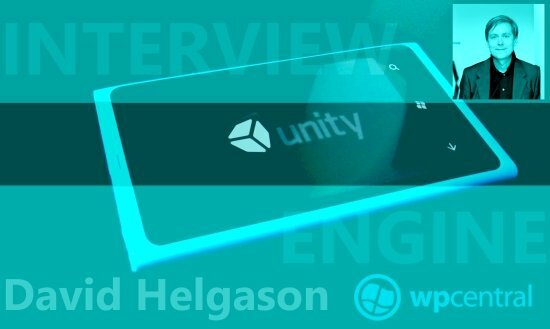 Whilst he has to be very careful what he says, he does say that they are excited to see who is switching to developing for Windows Phone now that Unity is coming to the platform. We have already heard about EA’s renewed commitment to Windows Phone and we’re hopeful that more will quickly follow. David came across as being both excited and positive about Windows Phone 8's gaming future. The next steps will be Unity being delivered to some of the Studios who can live with the early versions before a more general roll out will begin. As Nokia teased today… THINGS ARE ABOUT TO CHANGE.